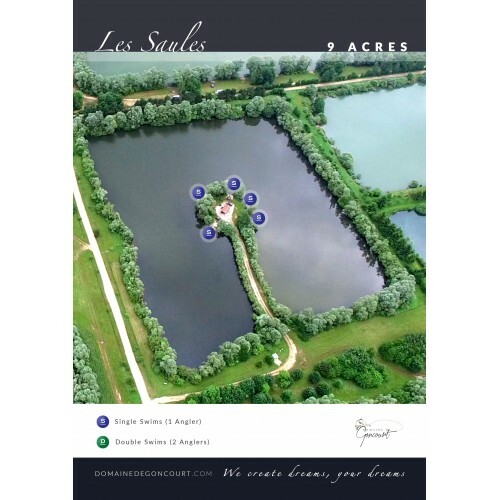 Les Saules is one of the most popular venues on the Domaine de Goncourt complex due the sheer number of large carp over 40lb. It is rented on an exclusive basis for a group of 5 anglers and is a horseshoe shaped lake of 9 acres in size with a chalet situated on the centre peninsula which anglers have full use of. 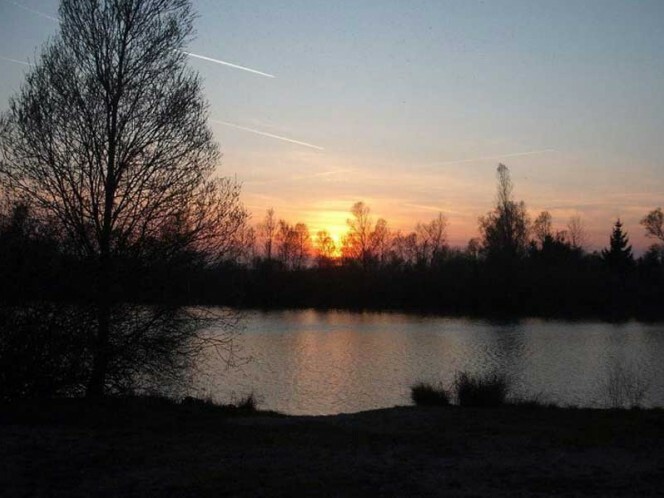 The swims are all situated around this central area which makes this ideal for groups of social anglers wanting to fish together during their stay on Les Saules. 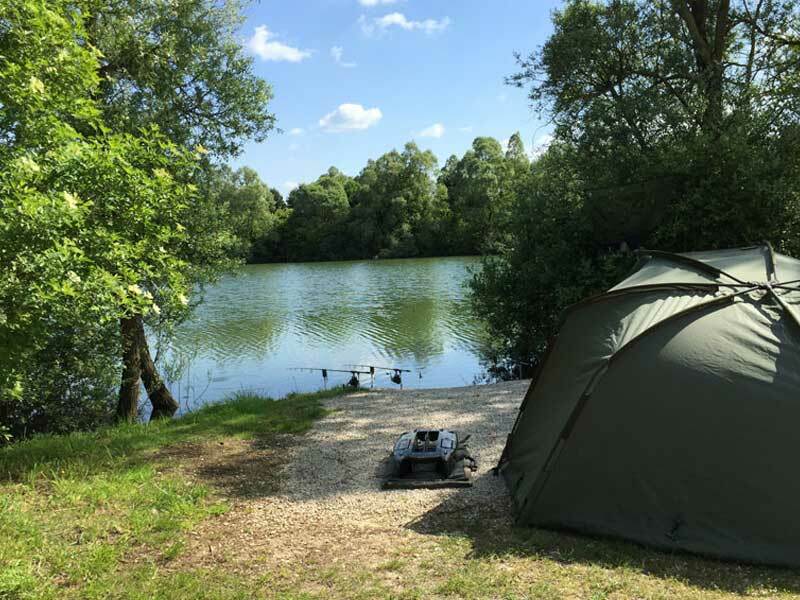 Each angler has their own area of water to explore during their stay due to the layout of the swims around the peninsula. Vehicles can be conveniently parked behind each anglers swim so there is no need for a long walk or a barrow on this lake. The central chalet has a fridge freezer and microwave available for your use with a brick built BBQ situated just next to the chalet. Outside you have a round wooden patio table and chairs for your social point while you stay on this prolific big carp venue. 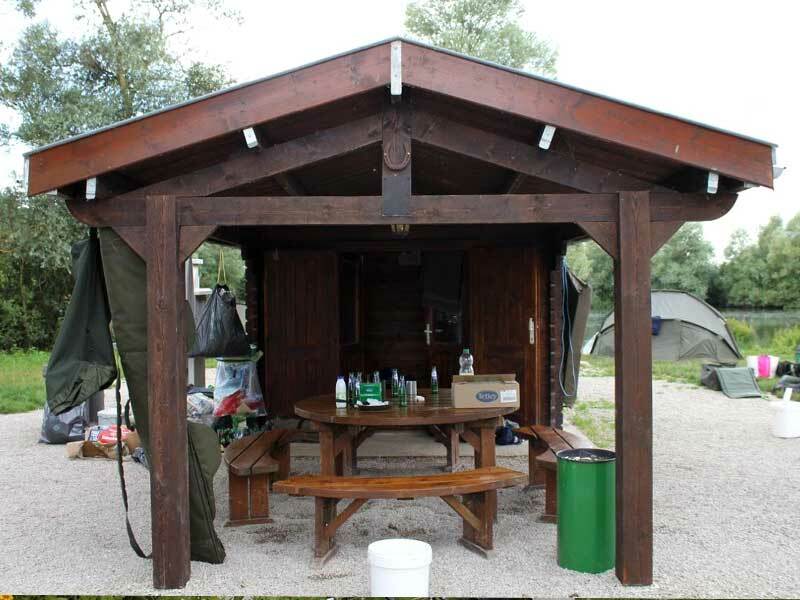 The toilet and shower block is located at the entrance to the lake and this is for the sole use of your party. 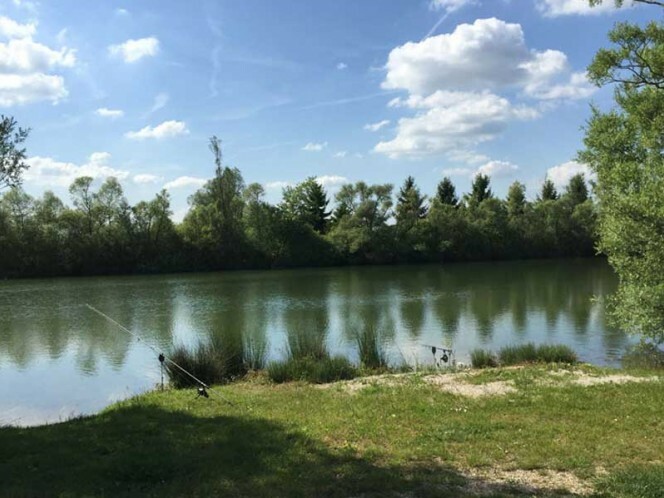 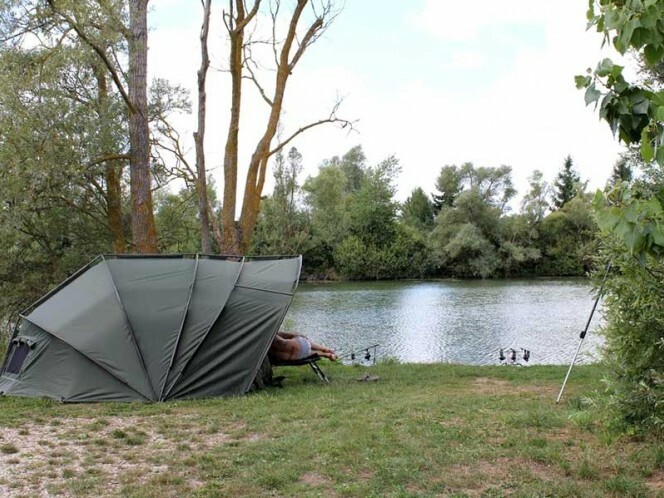 Les Saules is a gravel pit which has lots of features including gravel bars, sandy and clay spots, raised areas and overhanging trees, with average depths from 4ft to 7ft depending on the time of year. 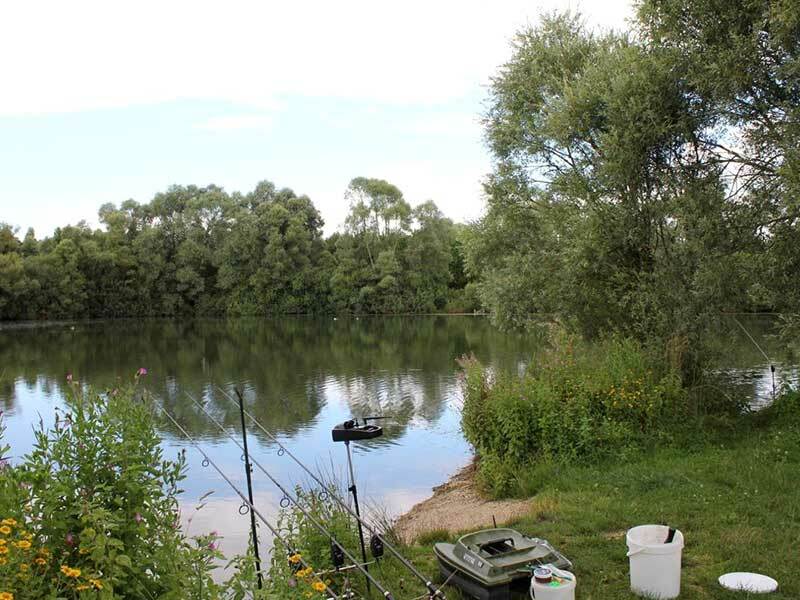 Each swim has different feature’s to fish to due to the diversity of the lake bottom and margins. 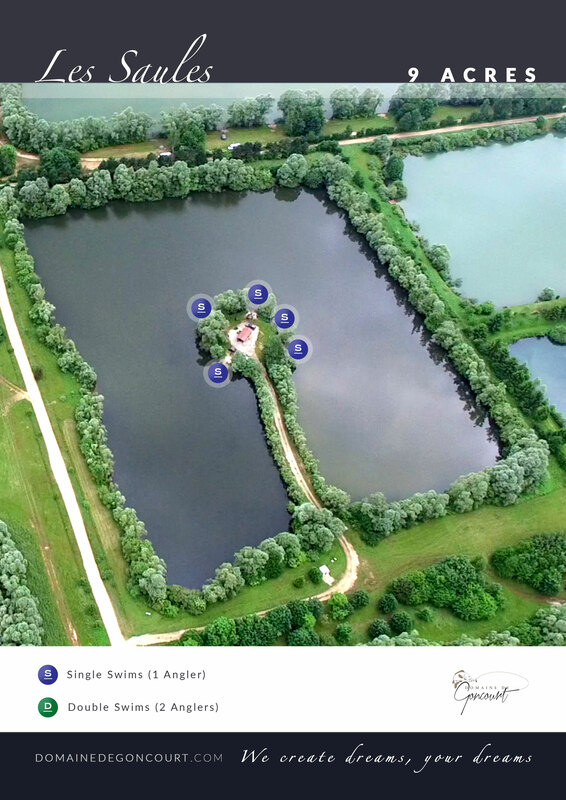 The quality and clarity of the water allow you to spend many hours watching the favourite feeding spots of the numerous inhabitants. 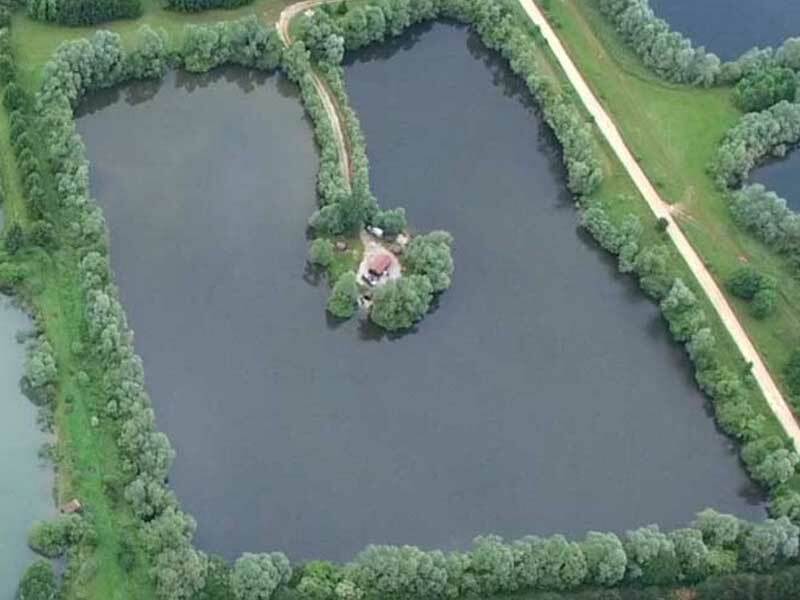 The use of boats is permitted but you must use a life jacket at all times. Bait boats are also allowed on this water. 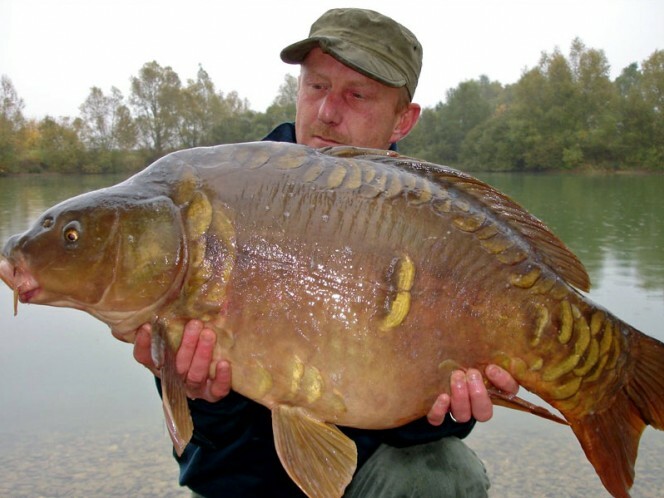 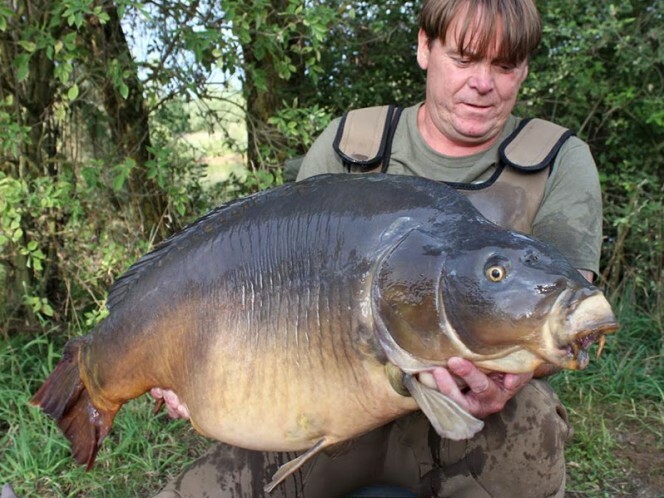 The lake has Mirror Carp to 72lb with 6 known fish over 60lb. 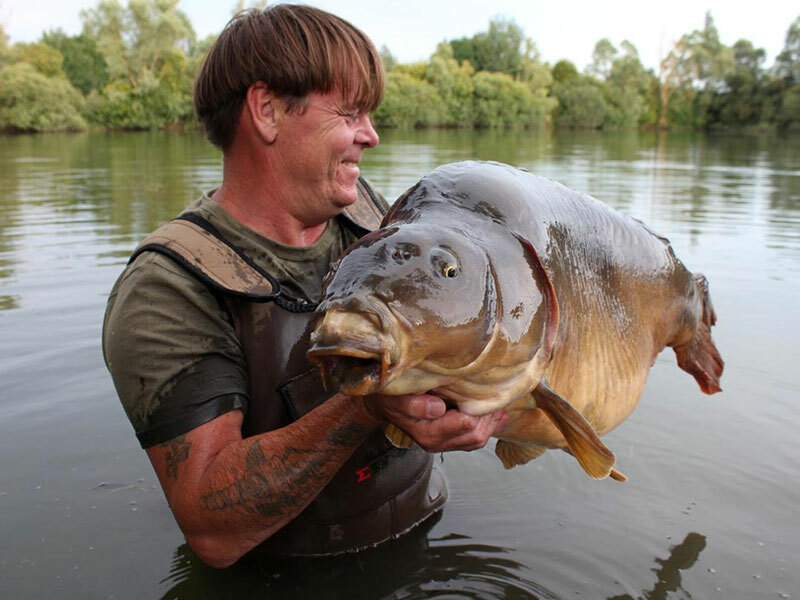 There are also Grass Carp to 52lb, Koi Carp to 32lb, Pike to 30lb and Tench to 12lb+. 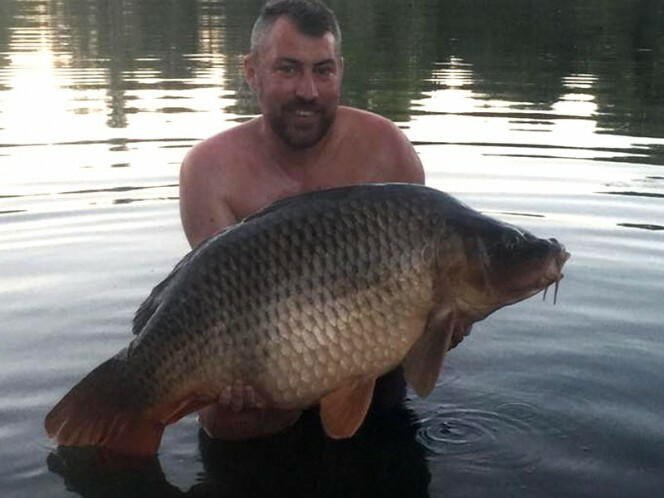 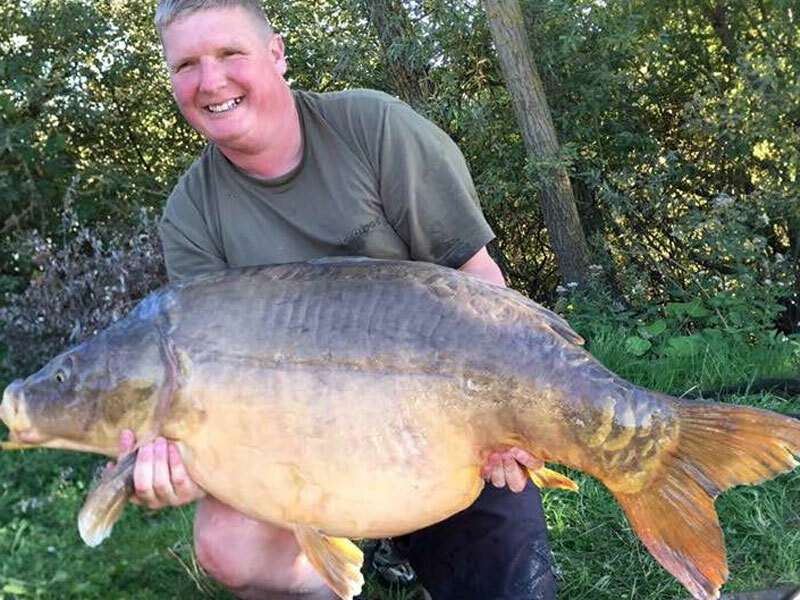 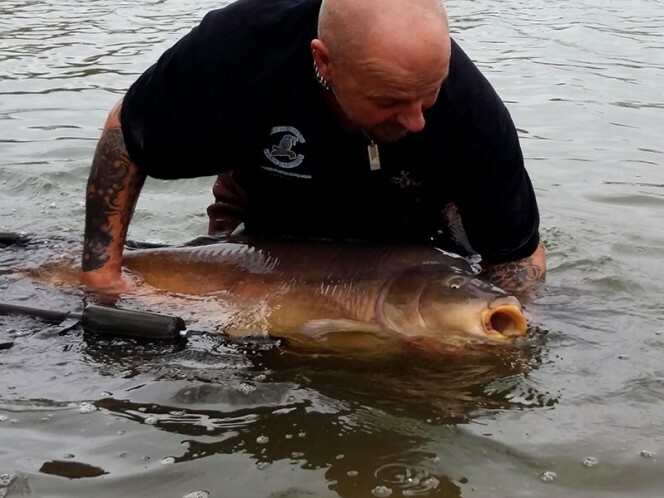 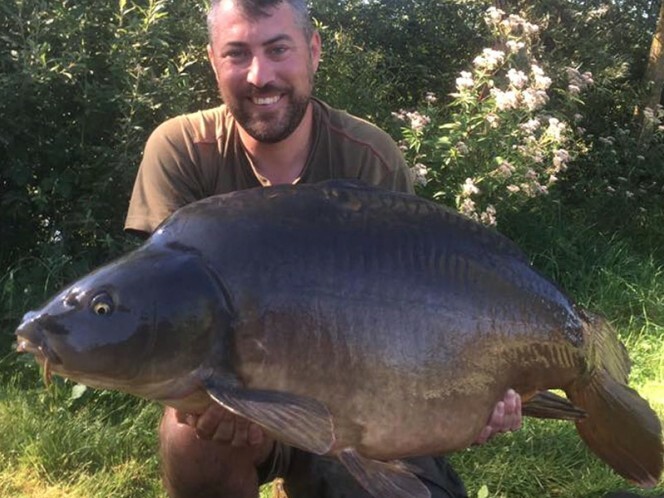 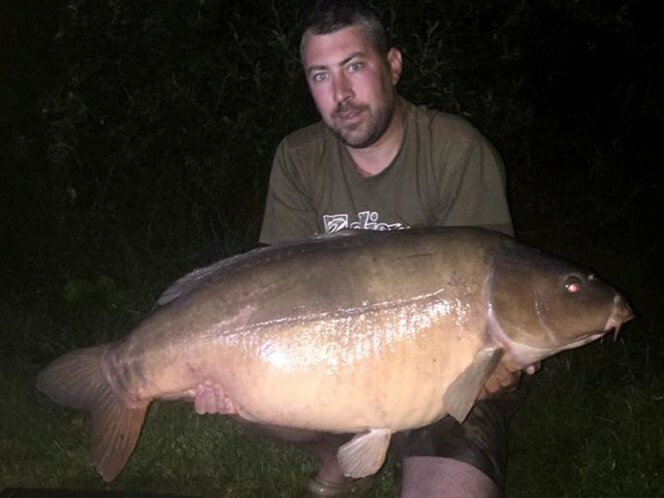 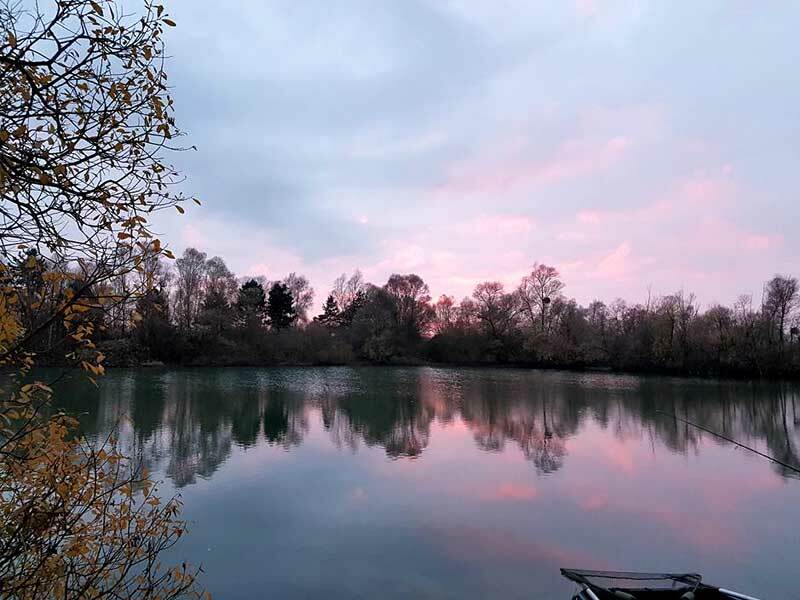 Les Saules has a little bit of everything for the visiting angler but over the last few years the carp have grown and grown making it one of the best water on the complex to catch fish over 40lb regularly.